Think big wheels are just for adults? Think again. 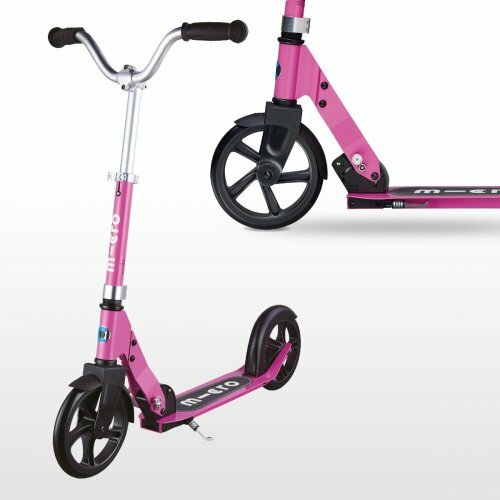 Cruise the school run in style on board the cool new Micro Cruiser. It offers children a chance to travel further, faster, with an even smoother ride, as the larger wheels mean less effort and can help to iron out any lumps and bumps in the pavement. The bicycle-style handlebars, provide stability and control for those new to two wheels. As with all of our aluminium scooters, the Micro Cruiser can be folded up to make it easy to carry and store. What’s not to love. Jump on board and take off!